Today we’re highlighting 5 of the best, most successful multiple offer strategies that really work in today’s real estate market, to ensure Maine Home Connection Buyers and Sellers end up with a purchase price that makes sense. For would-be home buyers, competing against multiple offers to win the home of your dreams can be… more than a little stressful. Our buyers, sellers, and friends are all curious about how best to navigate a multiple-offer real estate transaction. There’s no doubt it can be difficult if you are not prepared with the right strategies. Southern Maine is experiencing a seller’s market. Home inventory levels are drastically low and there are not enough reasonably priced homes available to meet the demand. This frequently leads to homes selling much quicker than normal and often well above asking. It all boils down to the basic economic principle of supply and demand. If demand is high and supply is low, prices go up. Buying a home can be very emotional, especially when you’re competing against multiple offers. We use these strategies for our clients, and we trust they will be helpful to you, too. 1: Have Your Pre-Approval Letter Ready To Go! Let’s start simply. If you are looking at homes with a licensed Realtor® then you should already have a pre-approval letter in your back pocket. When competing in a multiple offer market, it’s especially important to be prepared! The very first step in purchasing a new home is to meet with a lender, and it is best to use someone locally – and get pre-approved for a mortgage. This should be an amount that you are 100% comfortable with spending. Too many home buyers that we meet with for the first time haven’t really given enough thought to financing. This may seem surprising, but it is unfortunately true. Your pre-approval amount sets the entire stage for your home search. Now you’re ready to get out there and do some serious home shopping, not just some serious home touring. The reason it’s so important to have that pre-approval letter when you do decide to write an offer (and particularly when dealing with multiple offers) is it demonstrates to a Seller that you are a serious, pre-approved buyer that actually has the financial means to buy their home. If an offer you’re competing with doesn’t have their pre-approval letter, you can see how your letter puts you in the stronger position. Working with a LOCAL lender, especially in today’s real estate market, is more important than you might think. Perhaps 80% of all Maine home buyers had no idea what earnest money was when it came time to write an offer. It’s one of those things that doesn’t get talked about all that often. The earnest money amount in an offer can be a very subtle but effective piece in the ‘multiple offer strategies’ puzzle. Typically, earnest money is between 1-2% of the overall purchase price. On a $250,000 purchase, earnest money would usually be somewhere between $2,500-$4,000 in a traditional real estate market. A Buyer pays the earnest money after their offer is accepted. If you back out or the deal falls through for a reason not covered by contingencies, the seller potentially gets to keep this money. This strategy works if you have the cash available to pay a little more earnest money to show the seller how serious you are about buying their home and winning the offer. Ultimately, if you do end up buying the house, the Earnest Money will either be applied to your down payment or your closing costs; consider it a small down payment for your new home. Sometimes it literally comes down to just a couple thousand dollars to win the offer–especially when you are in a multiple offer scenario! This may sound a bit vague, so let’s expand on it. One of the first hurdles in successfully winning a multiple offer scenario is getting the Seller to accept your offer, not the other buyer. Now that you’ve won and have the house under contract, the next few steps are the most critical in keeping the deal together and ultimately closing/purchasing the home. It’s important to remember that the seller had other options, so be as sensitive and flexible in your future negotiations as possible. If your offer was contingent on inspection, be selective about what you ask the seller to pay for or repair. The seller is not going to be interested in spending thousands of dollars to fix a bunch of insignificant items that a buyer simply might not like or care for. In such a hot market, where the seller may have the opportunity for multiple offers, he or she may tell you to take a hike. Make sense? Respond quickly to any requests for information and be flexible if things like the closing date shift. If you are aware of any stipulations that are of significant importance to the seller, try to accommodate them as much as possible. Remember, it’s the house you’re after, not the high efficiency washer/dryer combo or the awesome swing set in the backyard. If there are ways to accommodate the seller without giving too much, do so. And remember, don’t turn off the seller by being too demanding or overly critical of their home. It’s important to remember that, ultimately, the Buyer and Seller really have the same goal so why not be flexible with one another in an effort to reach that goal! As the buyer, I’m sure you must be saying “There’s no way I’m paying over list price!” In the greater Portland area, as is the case in many other parts of the country, home buyers really don’t like paying the full asking price for a home; EVEN if it is perfect and EVEN if they are competing with multiple offers! The reality is, when you’re competing with multiple offers in a hot seller’s market, chances are whoever buys that house is going to pay over list price. So, if you really love the house then why not just go for it! Try not to get too caught up in the fact that you’re paying over list price. Sometimes Sellers will actually underprice a home in an effort to create a bidding war among buyers. That being said, it’s always important to remember your budget and a dollar amount you’re comfortable with spending. This is where the advice of a knowledgeable and professional Realtor® can be a tremendous asset! In a competitive market, a seller might scoff at being offered the list price for their home if comparable homes have been selling above list. Offer to pay what you think is a fair price based on the research you and your Realtor® have done. There’s really no way of knowing what the other multiple offers are, so you have to focus on the fair market value of the home vs. a budget you’re comfortable with. We have worked with plenty of Maine home Buyers that actually decided to walk away from a home, knowing that it was in multiple offers, because they didn’t want to blow their budget out of the water. It’s easy to get caught up in “action” and forget that you have a budget. So stick to it and shop smart! This is by far the MOST underutilized multiple offer strategy available. Even if you’re not in a multiple offer situation, this is still a great strategy that might save you a little money on the front end and may make for a smoother transaction in general. 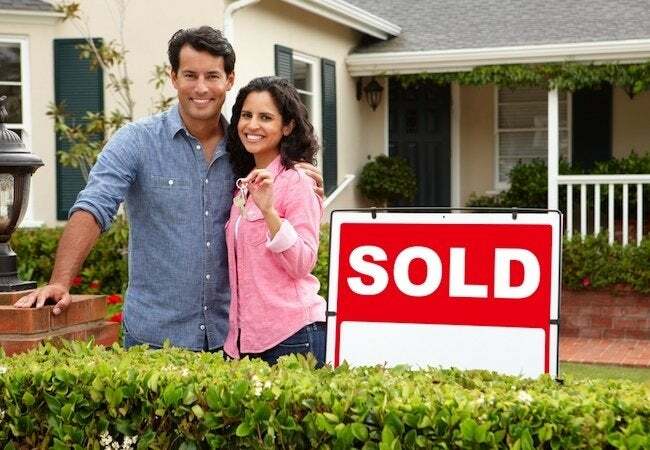 Buying and/or selling a home is a very emotional process for everyone involved, and, as human beings, we all love that personal and human connection with one another. Just look at all the sharing of personal pictures and videos all over social media. So, why not embrace that connection and include a short letter introducing yourself and talking about why you love the home so much! Chances are the person selling that home loved many of the same things you do. BOOM! …now you’ve got a connection. Often we see the “selling side” and “buying side” pit themselves against one another like they’re enemies. In every Maine Home Connection transaction, we do our best to bring buyers and sellers together – at the end of the day a Buyer and Seller really have the same goal so why not be flexible and work with one another in an effort to reach that goal? This can be especially important in a competitive, multiple offer scenario. A “healthy” market is a catchy and common term to describe the current state of the Greater Portland industrial sector. But our experience suggests that the market is only healthy for a select few, primarily landlords and sellers. For the sixth consecutive year, vacancy rates have dropped. In fact, last year, I called the 3.38% vacancy rate “remarkably” low. Today, that number has dropped a full 100 basis points to 2.32%, which I would call simply “inhibiting”. Throughout the year, we worked with buyers and tenants who struggled to find suitable relocation and growth opportunities. Multiple offers and off-market sales became common, which further frustrated end-users. We coached clients to remain patient, flexible and communicative in this fluid and competitive market. Accordingly, the limited inventory drastically increased both lease rates and sales pricing for industrial style space. Sale price trends, in particular, deserve a closer look. In 2011, at the tail end of the recession, Class A & B industrial buildings were selling in the $40/sf range. Sales were almost exclusively going to owner-user businesses who were bullish enough to bet the economy would turn. Today, those businesses are competing with a smaller inventory pool, and against investors looking to diversify their portfolios. Quality industrial buildings are now averaging in the high-$50/sf range and we have seen peak pricing at $70-80/sf. The bright side, and a “healthy” sign of market conditions, is the recent resurgence in new construction, adding much needed inventory. And that trend will continue into 2017 as speculative industrial projects are being built and marketed in Saco, Gorham, Scarborough and South Portland. I expect that over 150,000 SF will be added to our inventory in 2017. That means busy contractors, architects, engineers, brokers, attorneys, bankers, etc. New projects do, of course, require higher lease rates, which the market is starting to support. I predict lease rates will continue to climb for at least another year or two. And, the added inventory will finally slow our plummeting vacancy rates. An important caveat to this prediction is the still unknown impact of recreational cannabis cultivation and retail sales. Anecdotally, our industrial clients still prefer to buy existing buildings when possible. We have advised them to be ready to jump when opportunity arises and be willing to pay a premium in order to win a deal. Therefore, I predict sales price per square foot will again rise, and the gap between existing and new construction costs will continue to shrink. So, is this a healthy market? It depends on who is asking! On behalf of all us at NAI The Dunham Group, thank you. I hope you find the data discussed herein helpful as it pertains to your particular real estate holdings and business goals. Even if you prepare in every way possible, the best laid plans can go awry. The best thing you can do for yourself and your clients is try to keep everyone calm and focused. However, before you can show off your real estate skills, you need to make sure you’re able to connect with buyers and sellers in your area. Homes.com’s Local Connect brings you property inquiries from active buyers and sellers right when they are ready to engage. If you’re looking for ways to connect with transaction-ready sellers in your local market, Local Connect positions you in front of active sellers in your target markets with branding that showcases your photo or logo, phone number and endorsements. Call us at 888-651-8956 or send an email to productinfo@homes.com to learn more! Do you turn the thermostat a notch higher or put on an extra sweater when it gets cold? It’s a common household debate as family members try to maintain a balance between comfort and savings during the winter. It’s also a debate you may be able to put to rest by investing in energy-saving maintenance and upgrades. You can start with a home energy audit, an inspection that focuses on finding areas where your home wastes energy. Professional auditors can cost $300 to $800 depending on the type of audit, but you could consider tackling an audit and some of the changes yourself. Doing so could make your home more comfortable, lower your ecological footprint and save energy and money. See if you qualify for state-funded weatherization assistance. Look into state-based financial assistance programs before going at it alone. Contact your state’s weatherization agency to review eligibility guidelines, find a local service provider and start an application. If approved, you could receive a professional energy audit and improvements. On average, about $4,000 worth of energy saving-related work was completed over one or two days for the 2015 program year. If you can’t or don’t want to pay for a professional audit and don’t qualify for assistance, consider conducting a do-it-yourself (DIY) audit. A DIY energy audit can help you identify ways to save money and stay warm. A thorough inspection of your home can uncover opportunities for improvement, and you be able to rent an infrared camera to help you spot trouble areas. Look over the DOE’s Office of Energy Efficiency and Renewable Energy’s guide to conducting a DIY home energy audit, and create a log of your findings as you go. Keep in mind, where you live can impact what fixes you want to focus on, the type and amount of insulation you’ll need and even your heating system. Typical trouble spots and simple solutions. The following are common trouble spots and potential improvement you might want to make. • Keep the cold outside air out. The DOE estimates that you can save five to as much as 30 percent on your energy bill by just reducing drafts. Check for leaks around your doors, windows, plumbing, cabinets and other potential outlets. Also look for dirty spots on your wall, ceiling and floors as that could indicate air or moisture is getting in. Use foam sealant to fill in large gaps you find and caulking or weather stripping for smaller leaks. Covering drafty windows and doorways with storm windows or doors could also be a worthwhile investment. • Consider adding more insulation. The insulation in your walls and ceiling may not meet today’s recommendations. Reinsulating or supplementing what you have could help your home stay warm, or cool, and might not be as difficult as you imagine in easy-to-access attics or basements. However, you may want to check with a professional who can recommend what type of insulation to use and warn you of potential ventilation, fire or moisture hazards during and after installation. • Regularly inspect your heating systems. Heating systems can cost thousands of dollars to replace. While it may not be a DIY job, you may be able to prolong your system’s life by hiring a professional HVAC contractor to inspect and tune up your system before each winter. 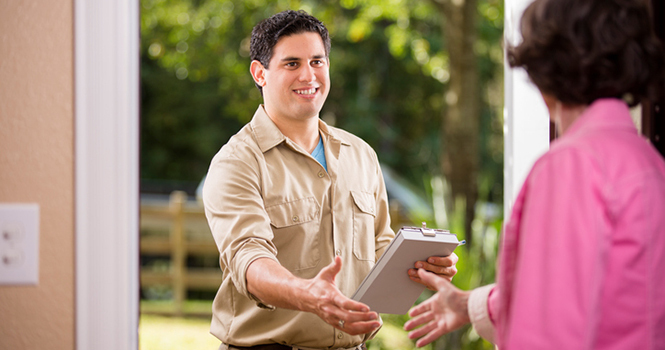 Some utilities also offer free in-home inspections of gas appliances. A job you can take on is checking the air filter and replacing it to the manufacturer’s specifications or when it looks dirty. You could also check for, and seal, holes, leaks and poor connections in the ducts. Weigh the costs and benefits before investing your time or money in a winterization project. Some of the items on your checklist could be no-brainers, but others might require more thought. Bottom line: A home energy audit can help you identify ways to improve your energy efficiency and make your home more comfortable. Whether you hire professionals, apply for government assistance or do it yourself, preparing before winter hits means you can enjoy a warm home without stressing over the energy bill. Nathaniel Sillin directs Visa’s financial education programs. Sillin writes a weekly column published in The Logan Daily News. The views of this column may not necessarily reflect that of the newspaper. A key reason to maintain your septic system is to save money! Failing septic systems are expensive to repair or replace, and poor maintenance is often the culprit. Having your septic system inspected (at least every three years) is a bargain when you consider the cost of replacing the entire system. Your system will need pumping every three to five years, depending on how many people live in the house and the size of the system. An unusable septic system or one in disrepair will lower your property’s value and could pose a legal liability. Other good reasons for safe treatment of sewage include preventing the spread of infection and disease, and protecting water resources. Typical pollutants in household wastewater are nitrogen phosphorus, and disease-causing bacteria and viruses. Nitrogen and phosphorus are aquatic plant nutrients that can cause unsightly algae blooms. Excessive nitrate-nitrogen in drinking water can cause pregnancy complications, as well as methemoglobinemia (also known as “blue baby syndrome”) in infancy. Pathogens can cause communicable diseases through direct or indirect body contact, or ingestion of contaminated water or shellfish. If a septic system is working properly, it will effectively remove most of these pollutants.